Egg production has changed over the years, as farmers apply innovation and research to improve hen well-being, food safety and sustainability. Egg farmers feel a responsibility to provide the best-possible care to hens and produce safe, wholesome and affordable eggs. Over time, farms have modified how they house and care for hens and produce eggs, adopting science-based practices as new information and research becomes available. With this spirit of continuous improvement, egg farms have improved the health and productivity of hens, enhanced food safety, and lessened impacts on the environmental, while providing a high-quality, affordable egg supply. Nearly half of Americans (44%) lived on farms, and most farms had a small flock of hens to produce eggs for the family to eat and sell locally. While there was egg production near urban areas, quality and availability varied due to seasonal production and poor storage. Most eggs came from small flocks kept in fenced-in yards, and each hen laid about 150 eggs per year. Farmers began moving hens indoors, as new research and experience demonstrated benefits. Hens were protected from weather, predators and disease, and hen health improved. Although hen care improved with indoor housing, challenges with sanitation, waste and pecking order remained. 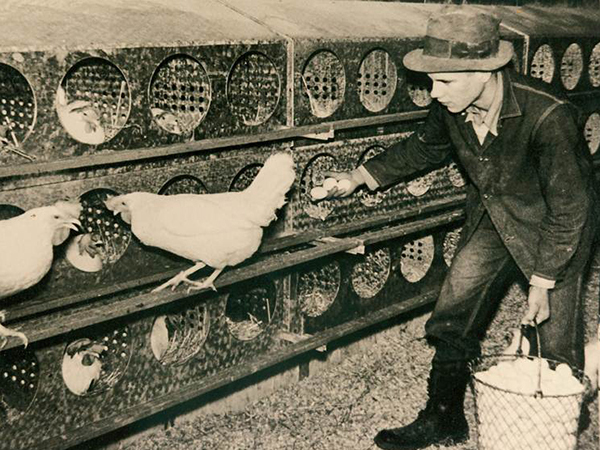 In the late 1940s, poultry scientists found favorable results when hens lived in a new type of raised wire-floor housing that is now called the cage system. Many farmers adopted the raised cage housing. Sanitation improved as litter was immediately removed from hens and eggs. Keeping hens in smaller groups protected them from aggressive hens and allowed equal access to feed and water. Hen survivability and egg production increased. Cage systems became predominant and farmers adopted technology to improve manure handling and egg collection. Conveyor belts replaced hand collection, with belts promptly carrying eggs from the laying area to washers. Poultry scientists and farmers improved feeding, genetics, disease resistance and flock management, and hens were productive and healthier. Flock size grew, as technology helped farmers to better care for their birds. 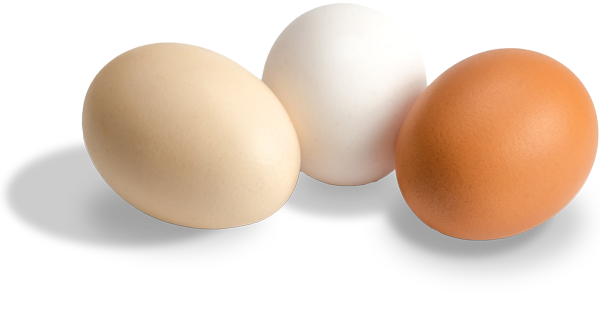 Food safety became a higher focus, and egg producers adopted rigorous standards for the cleaning and processing of eggs. 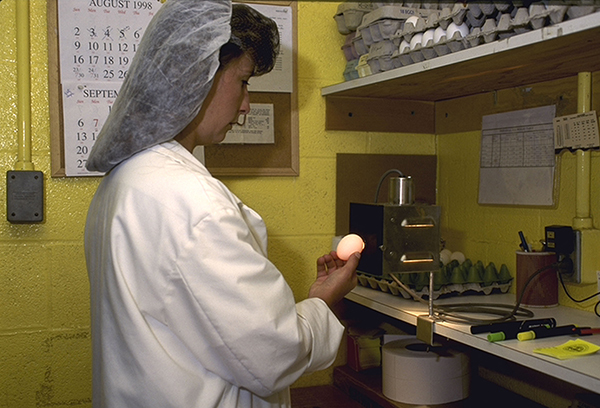 The Food Safety Inspection Service implemented the Egg Products Inspection Act (EPIA), which included inspections of egg and egg products. In 1994, UEP created the unprecedented 5-Star Total Quality Assurance Food Safety program. Egg farmers also worked with federal and state agencies, poultry scientists, veterinarians and consumer groups to reduce Salmonella Enteritidis risk. In 1999, UEP commissioned an independent Scientific Advisory Committee for Animal Welfare to review research on hen well-being, identify further research needs and recommend on-farm care standards. Following the Scientific Advisory Committee recommendations, UEP launched the UEP Certified guidelines for hen care in conventional cage housing in 2002. 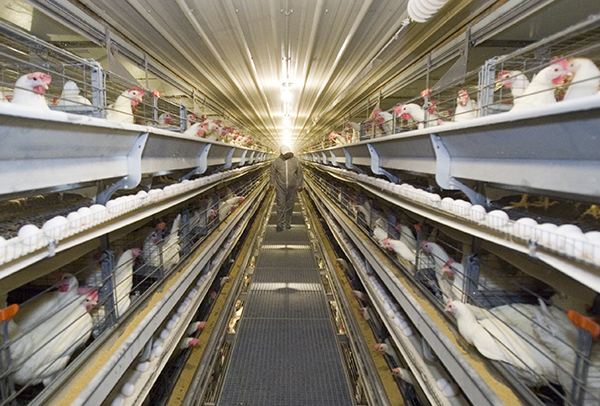 UEP Certified Cage-Free guidelines were added in 2006. 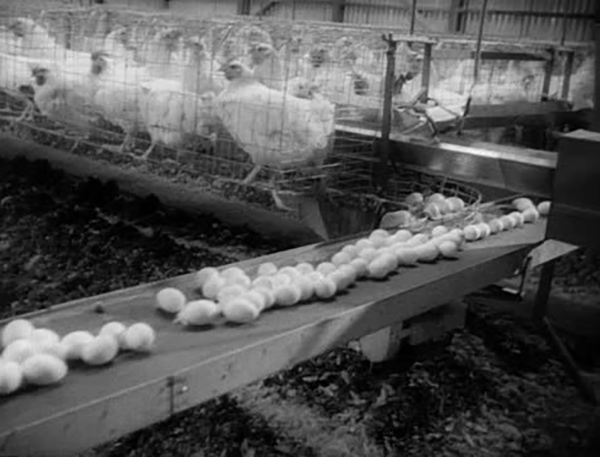 The vast majority of eggs were produced in conventional cage housing. As consumer interest in cage-free and organic eggs began to increase, some egg farms transitioned to meet demand. A life cycle assessment demonstrated the reduced environmental footprint for egg production over the previous 50 years. Egg farmers implemented more practices to prevent Salmonella Enteritidis with the FDA Egg Safety Final Rule effective in 2010. 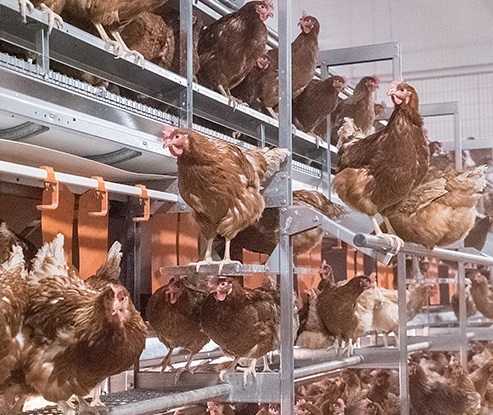 To help answer hen housing questions and concerns of customers and egg producers, the Coalition for Sustainable Egg Supply conducted the most comprehensive research on hen housing to date. The nation’s most devastating animal health crisis, high pathogen avian influenza, affected several Midwestern farms in 2015. Egg farmers have also been challenged by market volatility and changing customer expectations for hen housing. Consumption of eggs in the U.S. is at an all-time high, and egg farmers work to meet the evolving expectations of customers and the growing consumer population. Egg farmers are working diligently to balance high standards for egg safety, food affordability, environmental responsibility and hen well-being as they consider transitions in hen housing. Biosecurity and disease prevention measures have been enhanced since the 2015 avian influenza outbreak. For more on current U.S. egg production, click here.